Advanced information and communication technologies have become major enablers of manufacturing industry operations and product and process development. 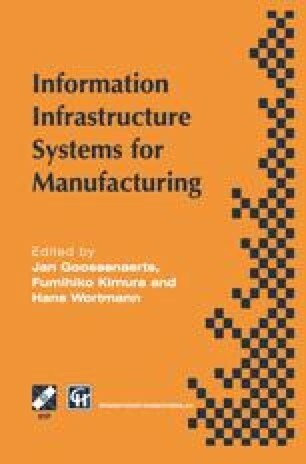 The paper proposes the concept of an information and command infrastructure and the role it can play as an enabler for lean, agile and sustainable industries in developing countries. An information infrastructure should provide an ongoing and lasting stream of information, decision and control services in support of the different life cycle phases of products and production resources, i.e. their design, production, use, distribution and disposal. Such services are particularly important for small and medium size manufacturers. The MI2CI project deals with software technology for information and command infrastructures for industries. Its goals and current activities are described.